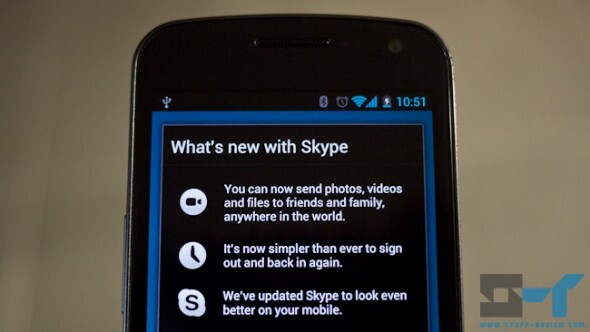 Skype for Android has just been updated to version 2.6 with a number of notable changes. First off, you can now send photos, videos and files to your Skype contacts from your Android device. Sharing files works on either Wi-Fi or over your mobile data plan. The new version promises to be more gentle on your battery, while certain devices will enjoy better video quality, such as those using Nvidia’s Tegra 2 chipset (like the Samsung Galaxy Tab 10.1 and the Motorola XOOM). The Skype team is adding to the number of devices officially supported, with the HTC Amaze 4G and the Motorola DROID RAZR. If after the update your device is still not supported for video calling you might want to check out our post here on how to unofficially enable calling on your device.